Epoxy is an excellent choice for garages, warehouses, bathrooms, lobbies, and basements if you are looking for a permanent non-porous flooring solution. Whatever your budget or style, we’ve got you covered. 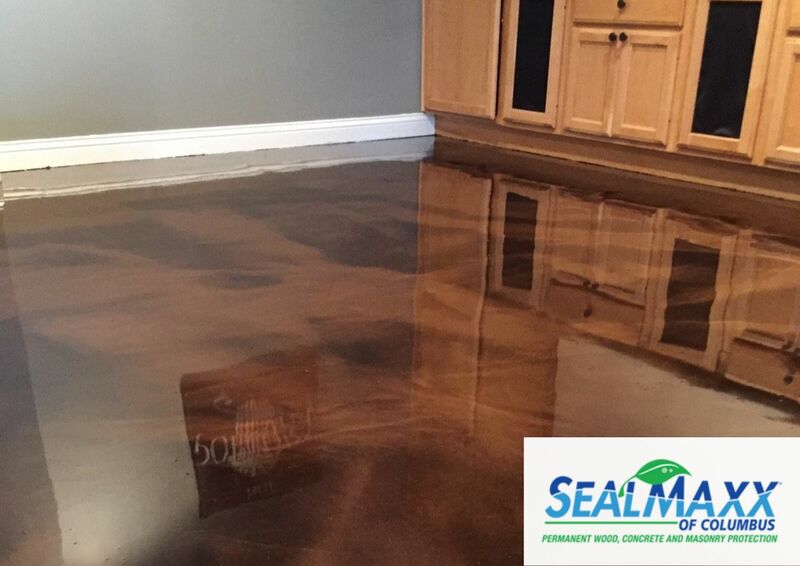 Sealmaxx will work with you to choose an epoxy flooring option that meets your specifications and your budget. Our skilled installers have been in the industry for over twelve years. Lifetime Warranty available on all epoxy flooring products. Epoxy coating is a modern, protective and cost-effective option to enhance the appearance and lifetime of your concrete floors. A properly applied custom floor coating will completely transform your home. To get the most out of your epoxy flooring, it is important to get the installation right. Take the adhesion rating, for example, anything under 300 PSI on an adhesion rating means they epoxy coating can separate from the concrete. Anything less than 75-inch pounds on the impact rating is poor. You won’t have to worry about any sub par installation with SealMaxx. With over 1 Million square feet of concrete sealed, we have the experience and expertise to give you a beautiful, long-lasting floor at affordable prices. Sealmaxx coatings always hold up to rigorous specs and testing. There are many colors, glosses, finishes, and textures of epoxy. Select from our Metallic, High Solids, Color Quartz, Vinyl Flakes, and Epoxy/Polyurethane Combination. Durable: Concrete floors coated in epoxy last longer and resist considerable wear making them a great choice for a concrete floor in a garage or basement. Cost Effective: Epoxy floors are a cost-effective method to create an attractive floor on a concrete surface. Creative and Have a Variety of Styles: There are many colors, glosses, finishes, and textures of epoxy. Select from our Metallic, High Solids, Color Quartz, Vinyl Flakes, and Epoxy/Polyurethane Combination. Quickly Installed: Epoxy floors are quick and easy to install typically taking no more than two days.